The idea of divine healing is a polarising one. Non-believers are generally fairly suspicious, feeling healing is against medical science. Many christians are highly supportive of the idea that God heals today, and quite possibly have a personal story of healing to tell. But other christians are made of sterner stuff, having, they believe, good doctrinal reasons to say that God doesn’t work that way today. And no-one wants to be conned, especially not by a white-suited televangelist with a big house and maybe even a private jet. I am midway between the polarised christian views, believing healing is possible but wanting to see good evidence before I will accept any particular claim. My investigations have so far revealed what I regard as some good cumulative evidence, summarised in the links below. I have been reading about some new evidence lately, so it seemed a good time to review the state of play on healing. 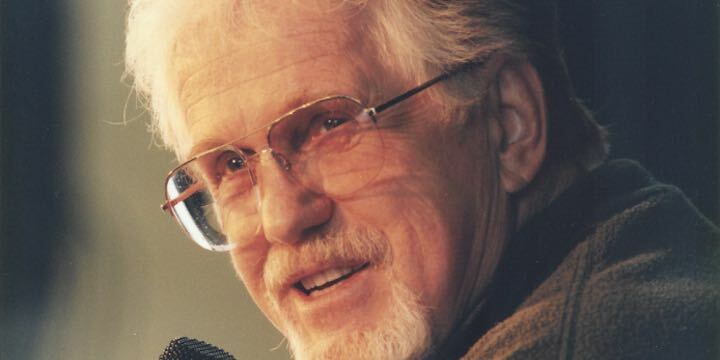 It is almost 20 years since John Wimber (pictured above) died, but back in the day he was one of the biggest things in western christianity – preacher, teacher, church planter and a proponent of faith healing. He aroused some strong emotions on both sides of the question of miraculous healing, but he never fitted the mould of the sleazy televangelist, having a much more laid-back and not personally-enriching approach. He admitted that not everyone who sought healing would be healed, but he had great success. But were his successes the result of hysteria, coincidence, showmanship, autosuggestion …. or the action of God? Again, views were highly polarised. Social anthropologist Dr David Lewis undertook a detailed analysis of outcomes of a healing conference Wimber held in England in 1986, and wrote it all up in Healing: Fiction, Fantasy or Fact?. Lewis had almost 2,000 of the participants complete a detailed questionnaire. Six months later he followed this up with interviews with 100 of these, randomly selected, to test the outcomes. Where appropriate and possible, he sought responses from the doctors treating those who said they had been healed. It turned out that about a third of those who sought prayer for healing were, they said, substantially or totally healed, and almost 60% received some improvement. The group followed up six months later reported approximately the same levels of healing, indicating the health improvements were not temporary. Lewis recounts some of the healing stories, supplemented with information obtained from the doctors who had been treating those who were apparently healed. Through Lewis’ book, I came across another examination of healing accounts, also from England in the 1980s, by medical specialist Reg Gardner, who wrote up some case histories in a paper in the British Medical Journal in 1983. I have summarised some of the case studies in Does God heal and speak today? An 8 month old boy had a lung disorder that is normally fatal to young children and his parents were told his diagnosis was “hopeless”. But a visit to a healing service at a local church led to complete recovery. A young trainee doctor was admitted unconscious to hospital with a rare disorder resulting from blood poisoning and meningitis. No similar case at that hospital had ever survived, yet before treatment could began, several groups praying for her saw their prayers answered with an unexpected and complete recovery. A 9 year old girl who was considered to be incurably deaf fully recovered her hearing after prayer. A woman suffering a painful but not life-threatening knee condition recovered, without the usual surgery, after prayer. A baby boy developed a tumour that was inoperable because it had grown around the arteries and nerves in his arm. Amputation was likely, so the doctors waited, some christians prayed and the tumour diminished and disappeared. Some doctors say it was a natural regression, others that it wasn’t, and so may have been prayer. How can we know if these were genuine healings? Most of these cases I have outlined here, and in other pages on this website, satisfy these requirements, though some may have documentation that is less than ideal. It is difficult if not impossible to prove that God has performed a certain action, because we cannot observe or measure God. So science can only take us so far – the medical verification outlined above. Like anything that happened in the past (e.g. evolution or history), which also cannot now be observed or measured, we can only look for signs that are probably God’s actions. We can be sure that there are documented accounts of extremely unusual recoveries, or “inexplicable spontaneous remissions”, and that many of these occurred after prayer for healing. We can look at known rates of natural recovery or spontaneous remission, and if we had enough data, and if we knew that no-one was praying for any of these cases (which is generally impossible to know), then we could compare the rates statistically and draw a conclusion. Unfortunately, we don’t have the data to do that. I have examined the rates of natural and prayer-based recovery using Bayes Theorem and estimated rates of recovery, and shown that if these assumptions were correct, the probability of God existing is greatly increased by the healing evidence. So perhaps that is enough. Or perhaps it’s just common sense? We draw inferences about cause and effect all the time. A family member goes outside then we hear a crash, and we infer they have tripped over. We eat an unfamiliar and exotic food and later have a stomach ache, and we infer the food was the cause. A politician acts evasively when questioned, and we infer he has something to hide. None of the conclusion are certain, but they are at least a reasonable first hypothesis, to be further considered or investigated. It seems to me that the same is true of healing. If unusual and unexpected recoveries, not explicable by medical science, occur again and again after prayer, then it is reasonable to infer that divine healing might be the cause, at least as a provisional hypothesis to be further tested. Perhaps there is enough evidence already. In the end, some people will require more and stronger evidence than the several dozen documented cases I have described so far, and the hundreds of other cases I have referred to briefly. The challenge for these people is to remain open to the evidence. Others may accept all accounts uncritically, and the challenge for them is not to be too gullible. But I believe the growing number of cases I have been able to document are sufficient evidence to say that divine healing appears to occur in some cases, making a strong case for the existence of God. And, in addition, giving encouragement to anyone who needs healing, to reach out to God and ask him to heal. He may not, but he just might. Photo: John Wimber (1934-1997). Vineyard churches.